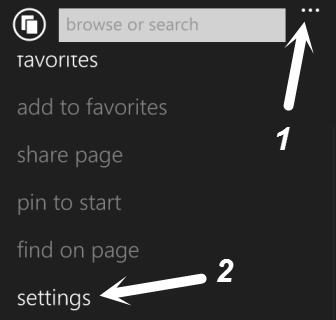 By default, the search engine in Internet Explorer for Windows Phone 8 is set to Bing. All the search results will be provided by Bing if you try to search from the address bar. Follow these directions to change your search engine to Google instead. As much as you may love your Lumia or HTC Windows Phone 8 device, you may still want to use Google instead of Bing as your default search engine. 1. Launch the Internet Explorer app on your Windows Phone 8 device. 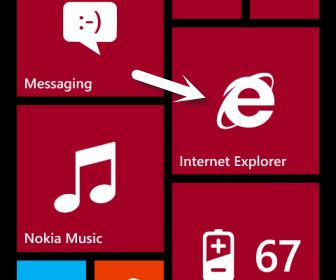 You can find it with the traditional IE icon in the phone’s tiles or in the apps list. 2. When the browser is loaded, tap the three dots icon to open the menu, and choose settings from the list. 3. In the settings page, scroll down to the bottom, and choose advanced settings. 4. 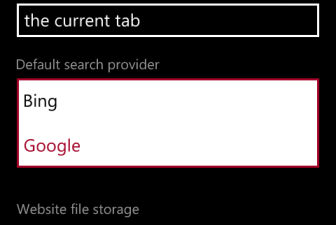 Find the Default search provider option in the list, and tap on it to show the choices. Tap Google to set it as the default search engine. 5. Go back to the main browser screen, and try typing a search term in the address bar. Then hit the arrow key on your virtual keyboard to process. The search result will be from Google. 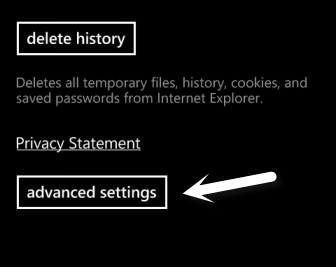 Later, if you want to switch back to Bing, just repeat the steps and choose Bing instead of Google.